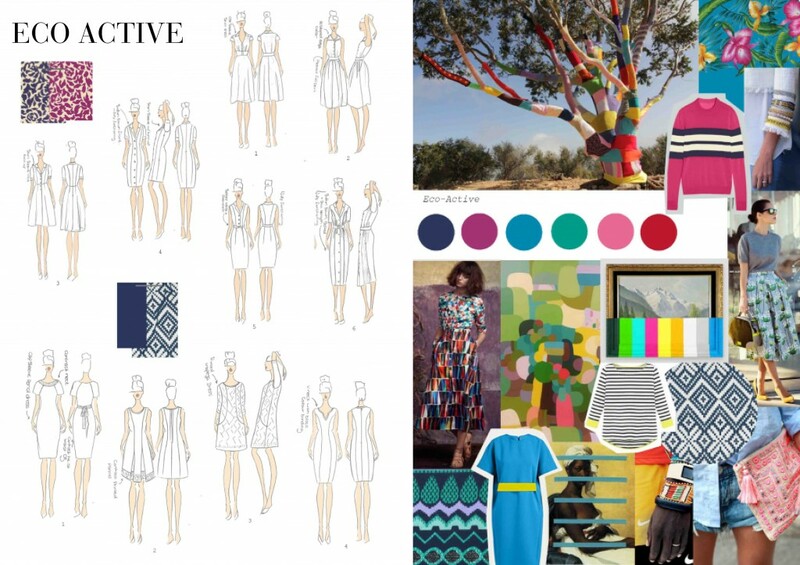 Whilst everyone is busy choosing this year’s winter coat, carefully selecting the perfect dress for the office Christmas do or picking something sparkly to see in the New Year, our Design Team are looking forward to warmer, sunnier days. We are busy imagining what you will be wearing whilst sipping Pimms at garden parties, how you will look toasting your best friend at her summer wedding or what you will select for that capsule holiday wardrobe which will keep all eyes on you at that amazing seaside location. And if you are spending most of next summer stuck in the office, at least you will look fabulous while you are there. We have scoured the vintage fairs in London, travelled to LA, Italy and South Korea in search of anything inspiring we think will make you feel beautiful… and we thought we would give you a sneak preview to brighten up your day. We are sharing our mood boards so you can get an idea of the creative process behind each season, of how we seamlessly blend vintage styling, global trends and eye-catching elegance in our clothes – yet keep our collections quintessentially British. 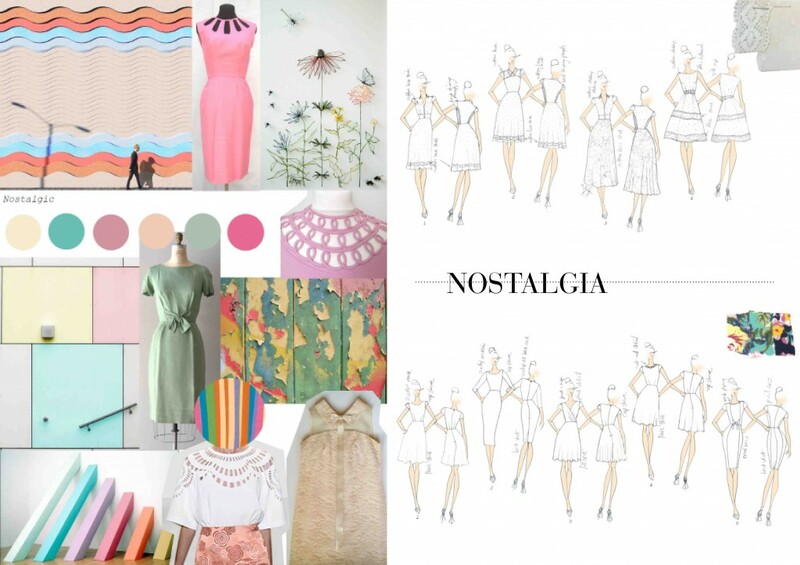 Our first mood board is all about Nostalgia, with vintage references, soft pastel colours and a very feminine feel. Our Eco Active mood board is inspired by the global traveller, with sports references mixing with ethnic fabrics and prints. 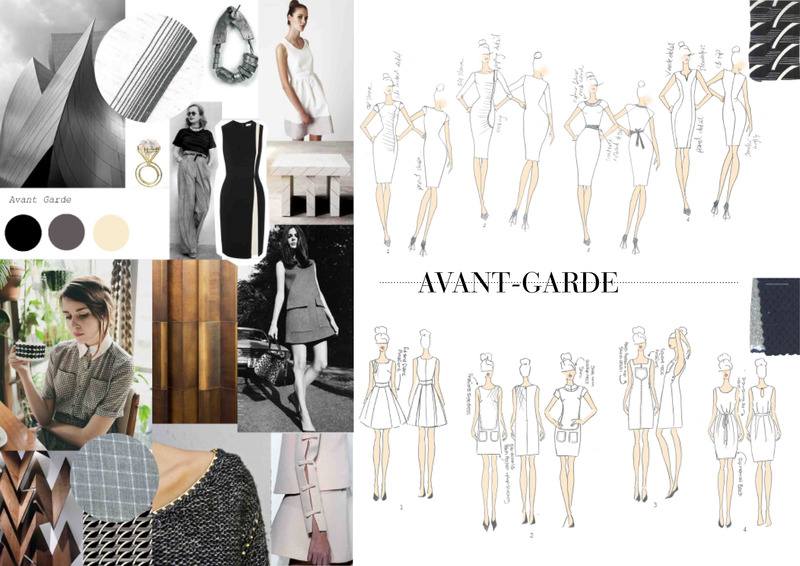 Finally on our third mood board we are going Avant-Garde with clean, sculptural, minimal looks and a monochrome colour palette. So whilst we can’t share any of our final designs with you yet, we hope we have whet your appetites and given you a little taster of what awaits once the days get warmer - because there’s nothing wrong with dreaming about sunny days, and we must look fabulous… even in our dreams, right? * Images courtesy of Pinterest, WGSN and our own fair hands.